My spunky, adorable niece had her cake picked out 2 months ago. 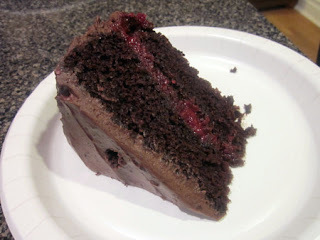 She knew right away that she wanted a chocolate cake with chocolate frosting and raspberry filling. Great! I already have a great recipe for the cake that I used for my Mother-in-law’s, and the frosting that I used for my Mom’s, so I just needed to add the filling. Piece of cake, right? I’m guessing the cake should have baked just a few minutes more, because both layers broke. Yeah, I wasn’t a happy camper. No time to bake another one, either. So, I used the frosting as “glue” and just dealt with it. Plus, my local market was out of fresh raspberries, which I planned on using as a garnish for the top of the cake. FAIL. Good thing it tasted pretty awesome. 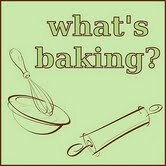 Leanne from The Martin Family is the host for our What’s Baking? group this month, and the theme she chose was Spring baking. I figured this was a good submission for it, given the raspberries. Thanks for hosting, Leanne! And happy 9th birthday to my gorgeous (and no longer little) niece Nina! Put all ingredients in a small pot over medium-high heat. Stir and cook until mixture boils. Set aside and let cool. This entry was posted in cake, chocolate, dessert, family, fruit. Bookmark the permalink. In my mind, chocolate and raspberry is one of the best combinations out there. What a great looking cake. It still looks delish! I love chocolate and raspberries! Happy Birthday, Nina! I want this cake!!! Chocolate & Raspberry is my very favorite flavor combo!! Sounds good, chocolate and raspberries!!! 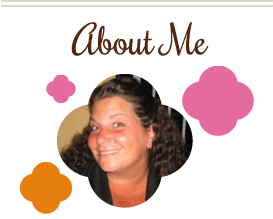 I’m having a linky party called A Themed Baker’s Sunday where the theme is cake’s/cake pop’s I’d love for you to join! Mmm, chocolate raspberry combos are SWEET!! !